I like to use my Lie-Nielsen #7 to clean up the edges of boards I’m about to edge-join. This makes the edges square, clean and also allows me to make a sprung joint. 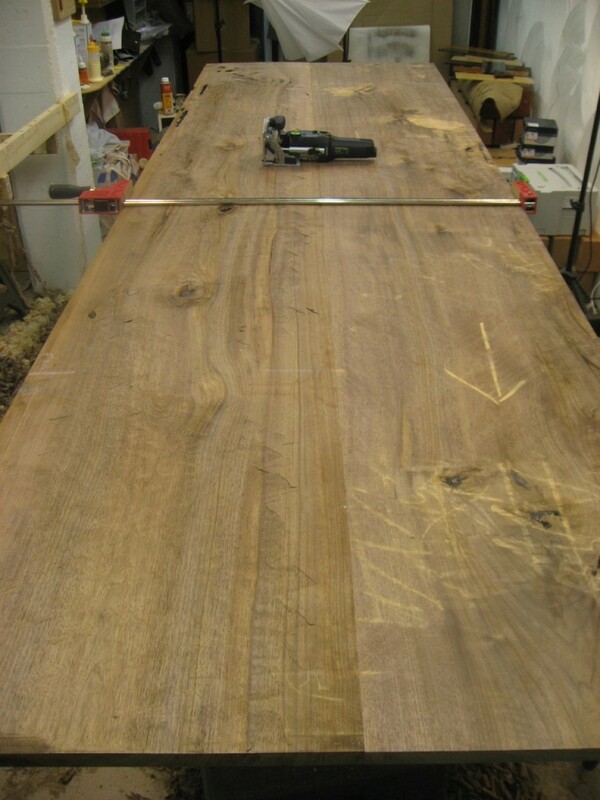 That’s a joint where the boards touch at the ends, but are slightly apart in the center – making a nice tight glue-line. 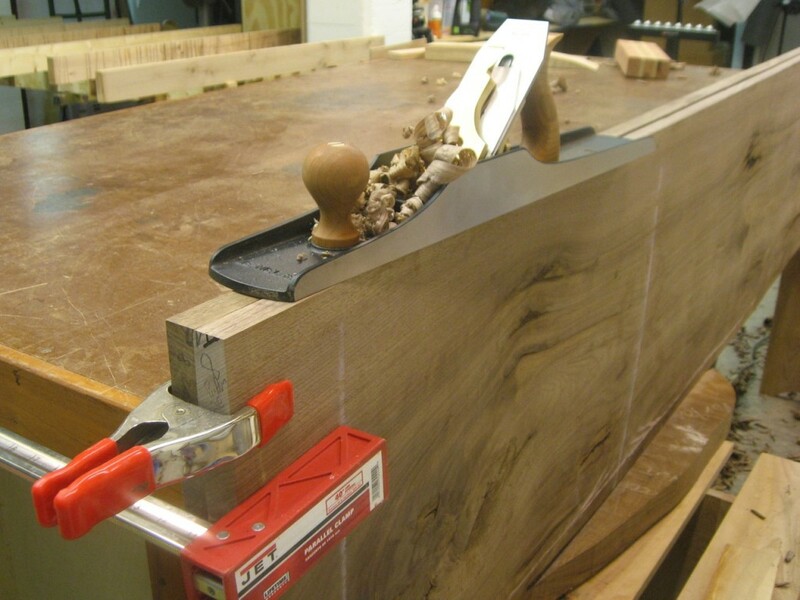 It’s easy to create with a couple of extra passes with handplane down the center of the boards. Getting ready to run the Lie-Nielsen #7 down the edges. I clamp the two boards together which gives more surface area to run the handplane and also auto-corrects in case I’m not holding the plane perfectly square to the face. Using my Lie-Nielsen #7 to joint both boards at once. 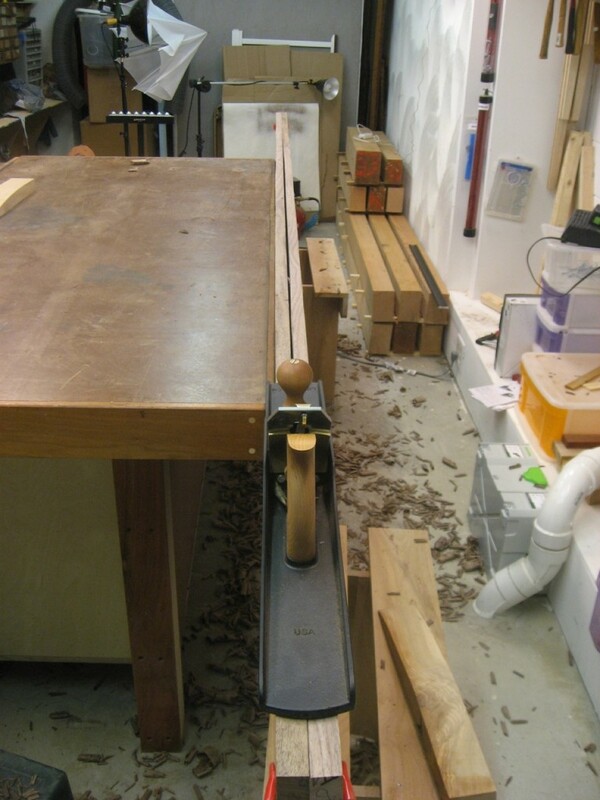 I look for two full-length shavings, one from each board. Sprung Joints Can Use a Single Clamp! Good post, concise, and great photos.